Movies to Look forward to in November – AiPT! November has lots of interesting movies releasing. November is the beginning of the holiday movie season. Family movies, Oscar bait, and pseudo blockbusters fill theaters. This year is no different with a pair of releases from Disney, another version of The Grinch, and a few sequels. The Nutcracker and the Four Realms (Nationwide): Disney’s full on assault to take all our holiday dollars begins. Keira Knightley and Mackenzie Foy star in a retelling of the short story that is destined to be a Christmas tradition. Nobody’s Fool (Nationwide): Tyler Perry has perfected the art of making hit movies that few will admit to watching, yet everyone seems to know about. This one stars Tiffany Haddish as a woman recently released from prison who is trying to protect her sister from being catfished. Bohemian Rhapsody (Nationwide): A biopic that celebrates the band Queen as a whole and lead singer Freddie Mercury in particular. Rami Malek looks great as Mercury and there is a great story to be told. The question is whether the movie can pull it off. Dr. Seuss’ The Grinch (Nationwide): How the Grinch Stole Christmas! is an absolute classic. The 2000 live action version starring Jim Carrey is not. The 2018 computer animated version certainly has the cast to be something special (Pharrell, Benedict Cumberbatch, and Angela Lansbury lend their voices) and the story is timeless. Overlord (Nationwide): I can’t be the only one who thinks this looks a lot like Frankenstein’s Army. That is not necessarily a bad thing, but it does open the door for comparisons. The trailer looks to be lots of over the top fun. I just hope AC/DC does not play during the actual movie. The Girl in the Spider’s Web (Nationwide): David Fincher’s version of The Girl with the Dragon Tattoo was a surprisingly good movie. The second installment continues to follow Lizbeth Salander and looks to be filled with some great action. Fantastic Beasts: The Crimes of Grindelwald (Nationwide): The trailer does exactly what it is supposed to. The action and special effects make those who are not even fans of the series want to know what is going on. Instant Family (Nationwide): The premise is made for the holiday season. Mark Wahlberg and Rose Byrne star as a couple that adopt three young children. Moving the release date up from its original February 2019 schedule may end up being a mistake for its box office. Widows (Nationwide): Gillian Flynn has already had a great year with the HBO miniseries Sharp Objects. It would seem impossible for Flynn to top the atmospheric show, but with a cast that includes Viola Davis, Colin Farrell, and Liam Neeson, this heist movie just might. At Eternity’s Gate (Nationwide): Another movie that may end up being lost in the holiday shuffle. Willem Dafoe stars as famed painter Vincent Van Gogh in his final days. Robin Hood (Nationwide): The adventures of Robin of Locksley have been told and retold so many times that it takes a superhuman effort to stand out from the pack. This looks to have the standard action that comes with any movie with Robin Hood in the title. Ralph Breaks the Internet (Nationwide): Disney’s second major release of the month already has lots of buzz around it. This is par for the course with most Disney movies and Ralph looks to be a sequel that lives up to the expectation. 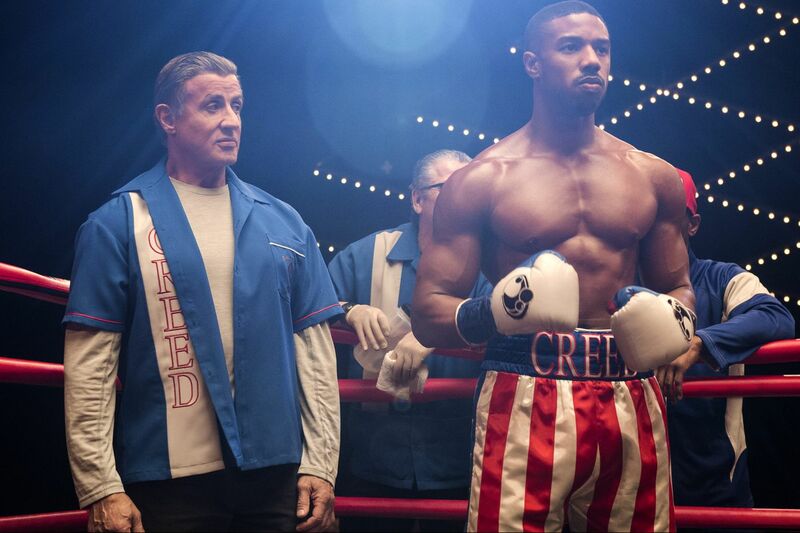 Creed II (Nationwide): Another anticipated sequel that looks like it will deliver. The premise for Creed II is awesome: Adonis Creed is set to face the son of Ivan Drago. Yes, that Drago. May not have as great of a training montage as Rocky IV, but it should still impress. Green Book (Nationwide): A feel good story that seems like awards bait. Academy Award winner Mahershala Ali stars with Viggo Mortensen about a white bodyguard and black pianist who travel through the south together during the segregation-era. The Front Runner (Nationwide): Hugh Jackman stars as the Gary Hart, the man who seemed to have the 1988 Presidential election all locked up. The scandal the changed that changed how people perceive the press and how the press deals with politicians. The Possession of Hannah Grace (Nationwide): In a year filled with great horror films, Hannah Grace may have trouble standing out. Its release date will not do it any favors. The horror film starring Shay Mitchell is about a women who seems to have discovered something sinister in the morgue she works at.